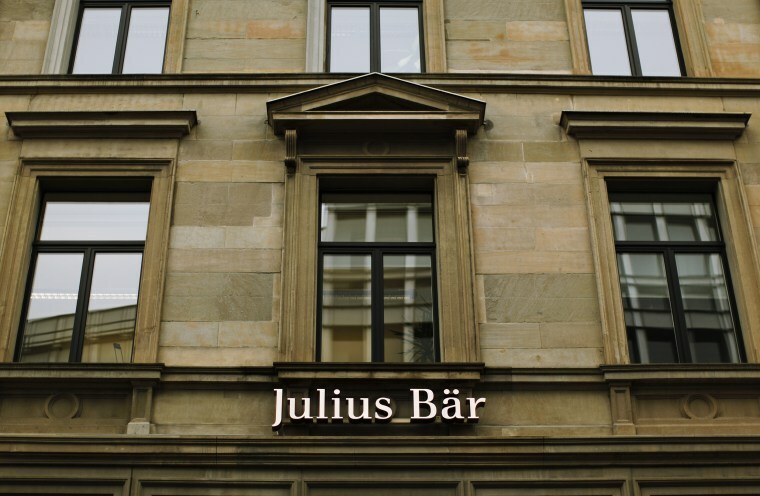 ZURICH – Swiss bank Julius Baer has reached an agreement in principle with U.S. authorities to settle an investigation into allegations it helped wealthy American clients evade taxes. Switzerland's third-largest listed bank said it had set aside nearly $200 million in additional provisions for the settlement, bringing the total amount earmarked for potential penalties to $547.25 million, which the bank will charge to its 2015 full-year results. Julius Baer's penalties potentially look much lighter than those paid by larger rival Credit Suisse, which in 2014 was fined $2.5 billion for helping Americans evade taxes and pleaded guilty to a U.S. criminal charge. U.S. authorities have conducted criminal investigations of several Swiss banks after UBS agreed in 2009 to pay $780 million and identify certain U.S. clients to resolve criminal charges that it helped Americans evade taxes. Julius Baer's deal with the U.S. Attorney's Office for the Southern District of New York, which conducted the investigation, remains subject to approval by the U.S. Department of Justice, Baer said in a statement. Zurich-based Baer said it hoped to settle the Justice Department investigation, which began in 2011, in the first three months of next year‎. The bank said it still expected to report a net profit for the current financial year and would remain adequately capitalized. Baer's shares rose as much as 4.4 percent, vs. a 0.4 percent fall in the European banking index, on relief that the provisions were lower than expected. A Swiss media report earlier this month suggested a settlement might cost Baer double the $350 million it set aside in June. Resolving the U.S tax case would ‎end the uncertainty over potential fines for the bank. "The exactness of the additional provisions suggests that the agreement with New York authorities is just a formality, while the DOJ fine could still change," Zuercher Kantonalbank analysts said. "Visibility is still lacking." It is also not clear whether Baer will need to follow Credit Suisse and Wegelin & Co. in pleading guilty to criminal charges. Wegelin, Switzerland's oldest private bank, shut its doors permanently in 2013 after over two and half centuries in business following its agreement to plead guilty to U.S. authorities. The U.S. Justice Department is also running a separate voluntary program to allow Swiss banks to resolve potential criminal charges by disclosing cross-border activities that helped U.S. account holders conceal assets.